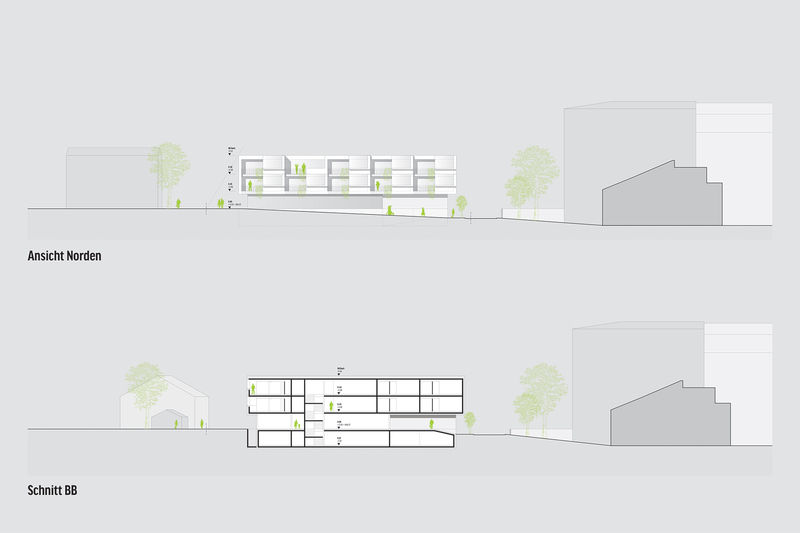 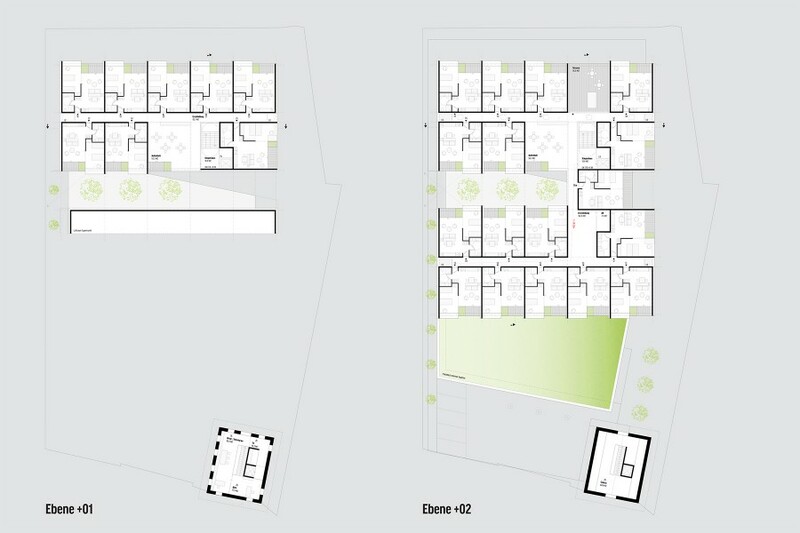 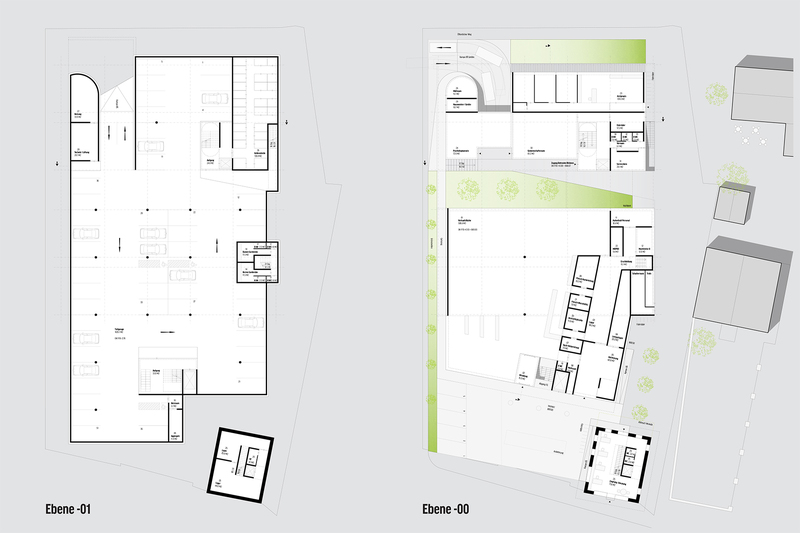 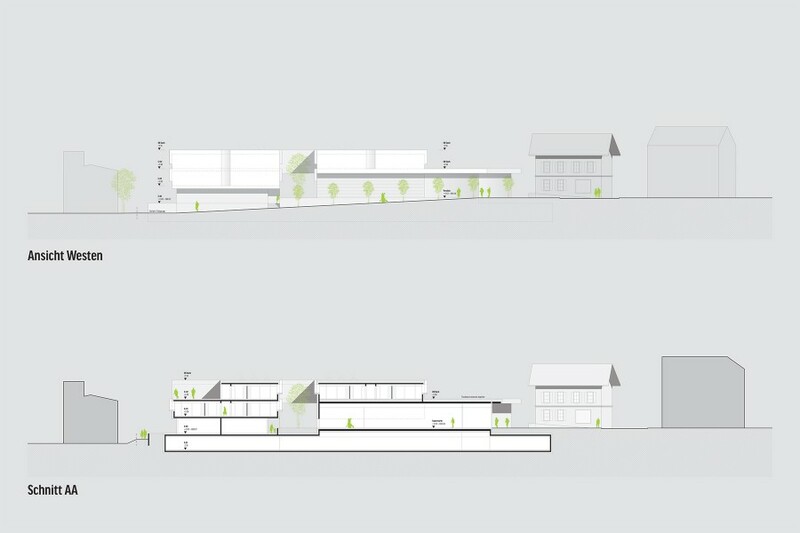 The competition entry is characterized by the effort to keep and adapt the exisiting residential building at the southern end of the site and adapt it to accomodate new public spaces. 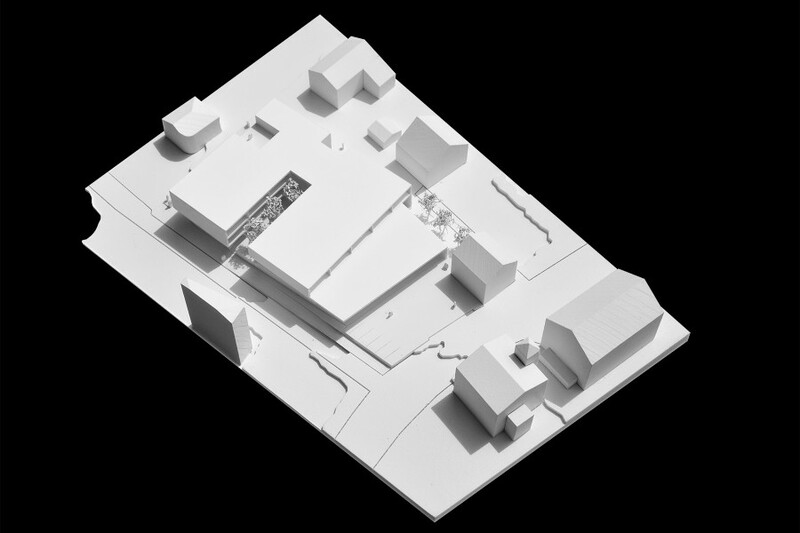 The house contributes significantly to the identity of the quarter and was judged by several commitees as worth of preservation. 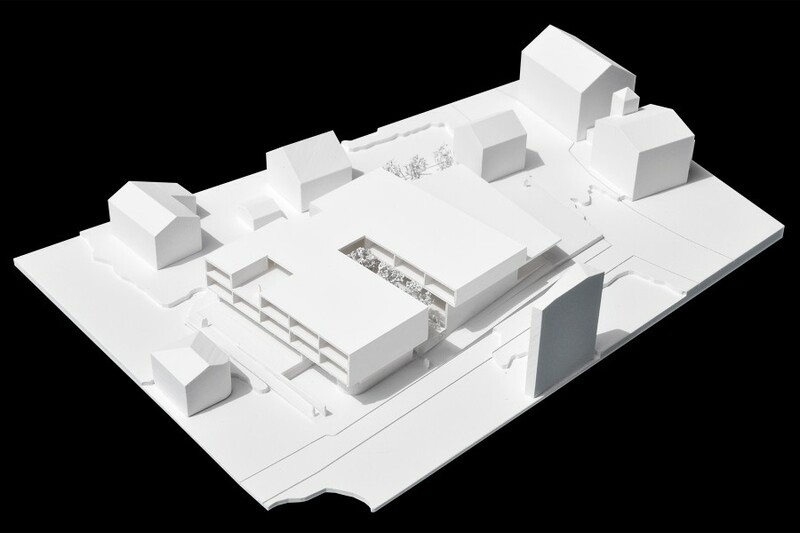 The large area of the supermarket is set back from the street to create a new public square. 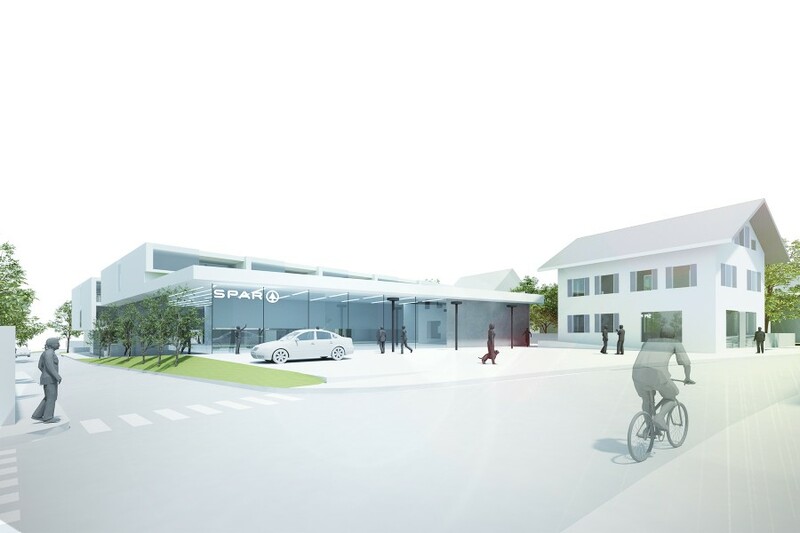 Assisted living units are positioned towards Widumplatz and extend partially up to the roof of the supermarket. A generous green gap gives light to the units and provides an attrractive opposite to the main entrance of the Parkhotel. 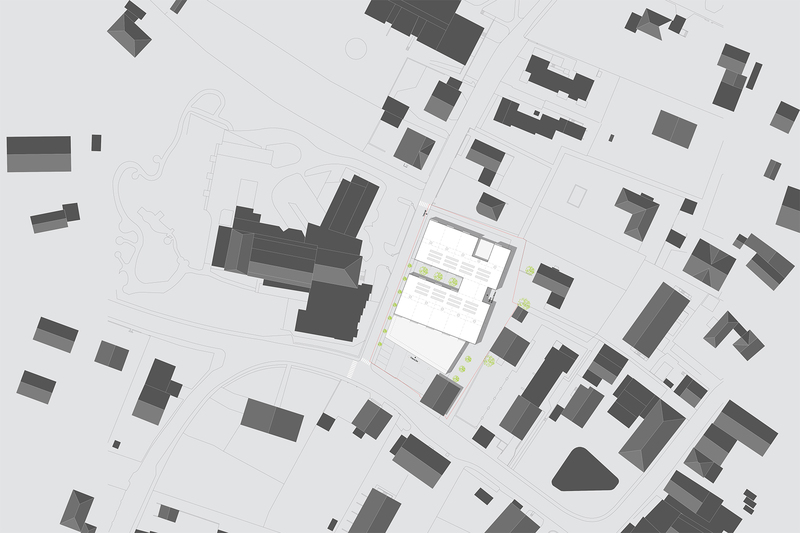 Another key element of the design is the continuation of the typical pedestrian network of Igls and the functional arrangement of program that reacts on the surrounding green spaces.